GBC ProClick Binding Spines Cassettes are available for use with the Fully Automated GBC ProClick Pronto P2000 and GBC ProClick Pronto P3000 Binding Machines. The binding capacity of the 5/8 inch GBC ProClick Binding Cassette Spine is 100 sheets of 20# paper. 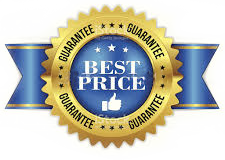 With our Guaranteed Lowest Pricing plus the additional savings you'll enjoy with our quantity pricing offers nobody saves you more money on GBC ProClick Binding Cassettes than Laminator.com.